This Youth Tee by Champion is 99% cotton with 1% poly. 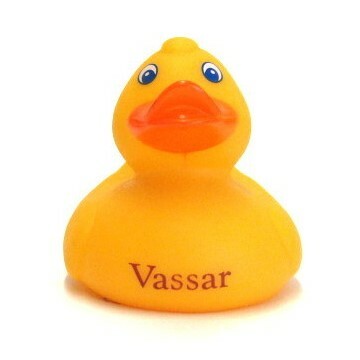 Great Brand for the little ones. Please select option for CHAMPION YOUTH POWER BLEND TEE. 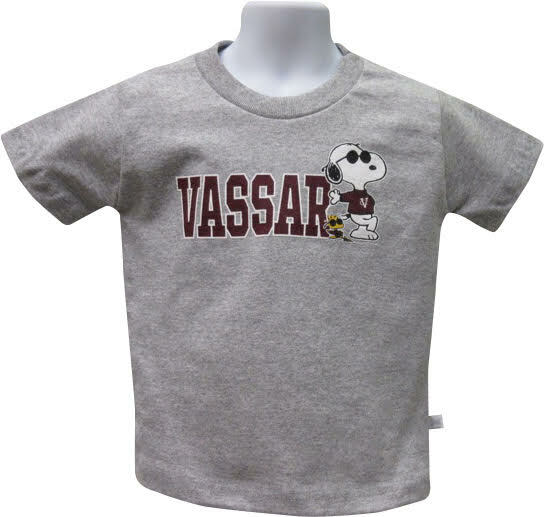 CI SPORT toddler gray crew neck is stamped property of Vassar est. 1861 60 cotton / 40 polyester. Please select option for CI SPORT GRAY TODDLER CREW NECK. 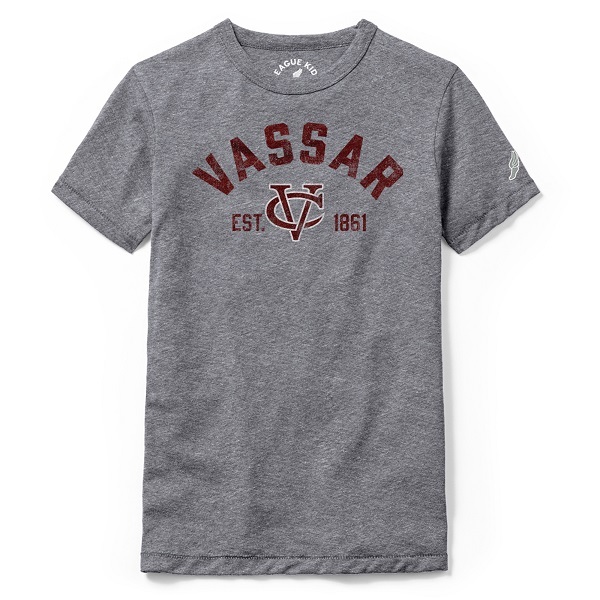 This is 100% cotton and the two location screen print is perfect for the future Vassar student. 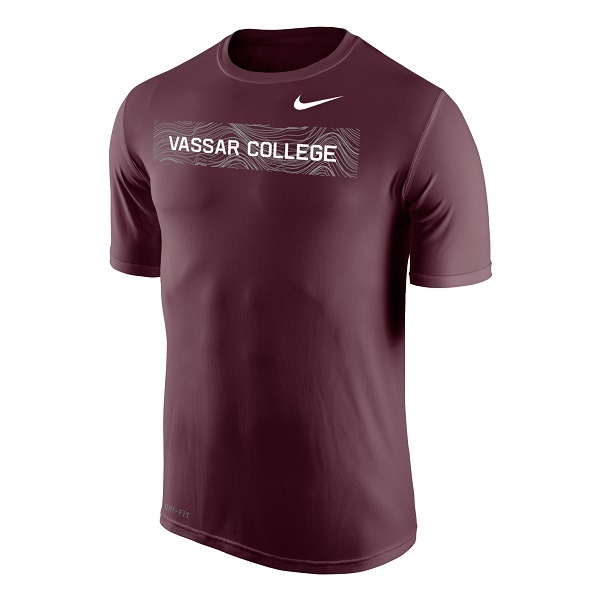 Our youth shirts are bought in smaller quantities. 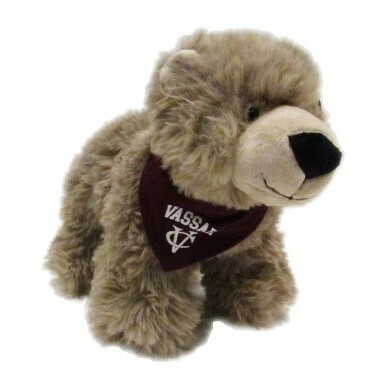 Get one today for a gift/ Why not pick up both colors? Please select option for LEAGUE YOUTH LS POCKET TEE. 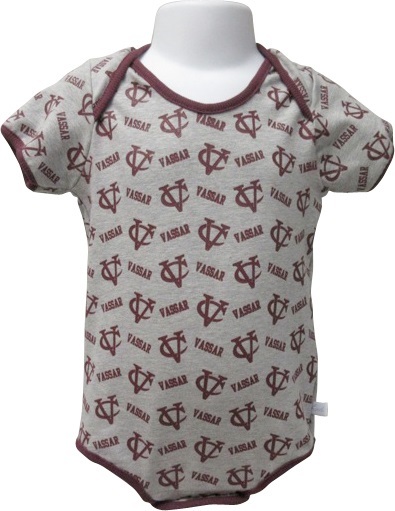 The famous League tri blend fabric a 50/37.5/12.5 poly/cotton/rayon blend for superior softness and wear ability. 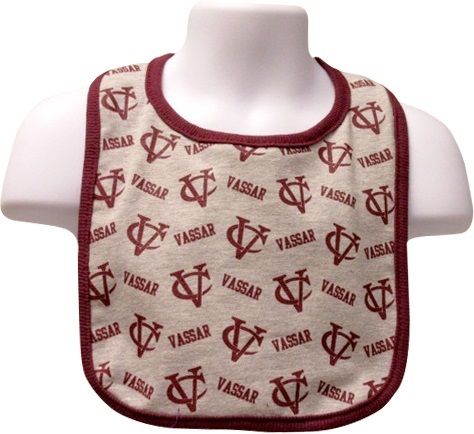 The Screen print is distressed and will look great on your future Vassar Alum! Please select option for LEAGUE YOUTH VICTORY FALLS SS TEE. 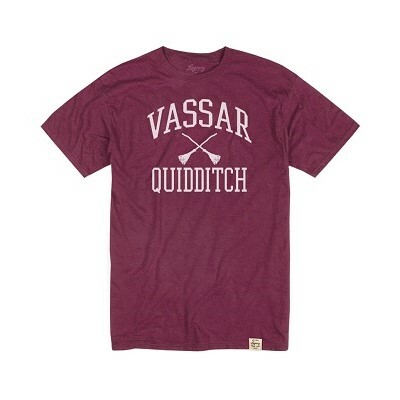 Visit Vassar and you are sure to see the Quidditch team practicing on the quad. 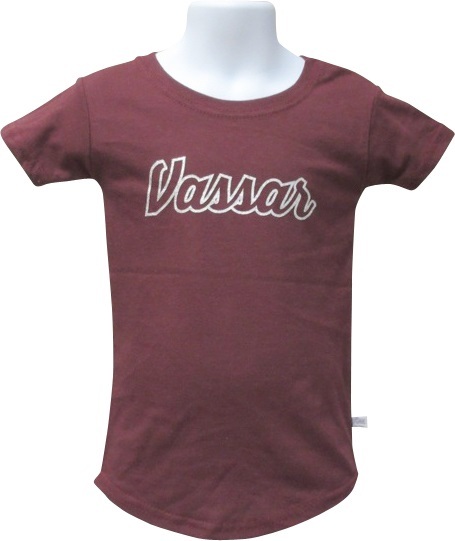 This vintage inspired youth Tee is sure to be a hit with the little ones. 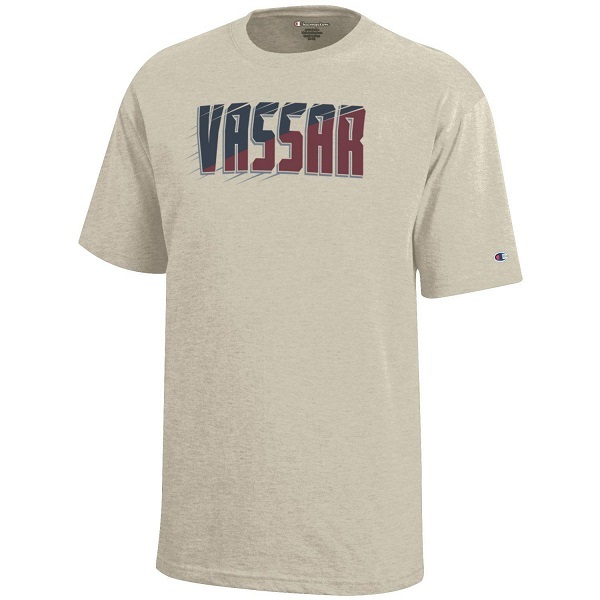 100% cotton, this Tee is a great value. Limited availability. Please select option for LEGACY YOUTH QUIDDITCH. 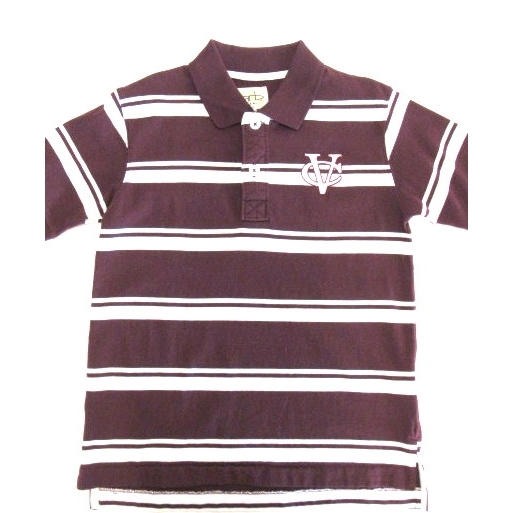 Please select option for PARKER STRIPED BOYS POLO MAROON. 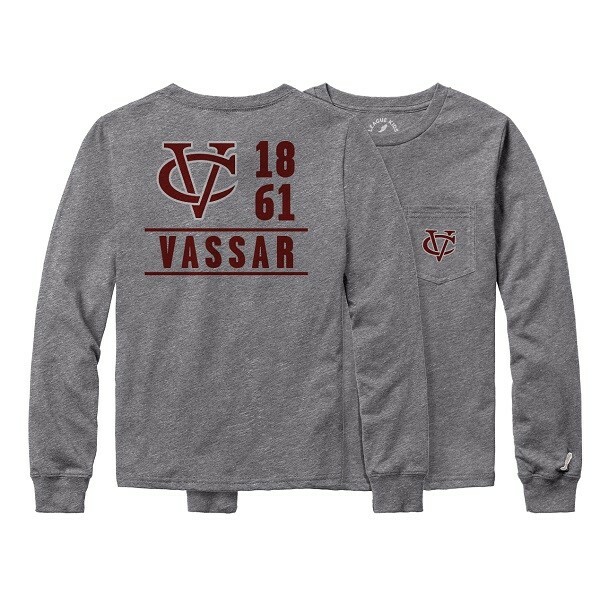 Cut and Sewn in the USA, this 1/4 ZIP toddler fleece top by Third Street features a 50/50 cotton/poly blend and a grey screen printed Vassar Logo. Never to early to show your pride. 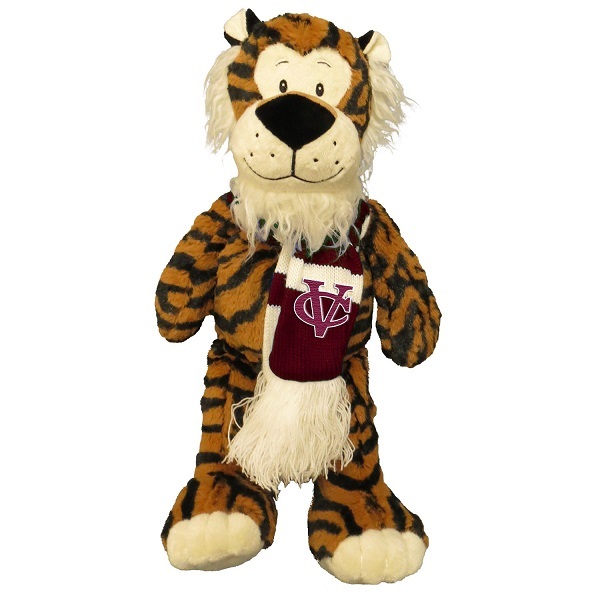 Please select option for THIRD STREET 1/4 ZIP. Please select option for THIRD STREET FLEECE PANT. Please select option for TODDLER SNOOPY + WOODSTOCK TEE. 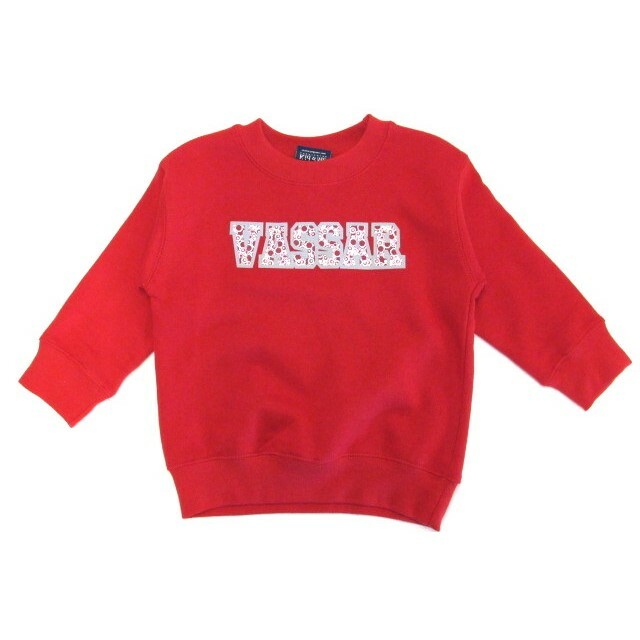 Please select option for YOUTH CREWNECK SWEATSHIRT RED.